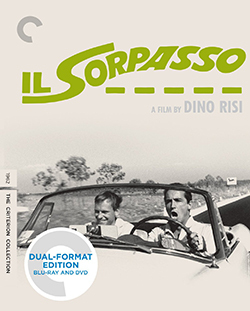 Read my review of Il Sorpasso, out this week in a spotless Blu-ray/DVD transfer from Criterion, at Slant Magazine. This entry was posted in film, movie reviews and tagged blu-ray, criterion collection, Dino Risi, Il Sorpasso, Jean-Louis Trintignant, slant magazine, Vittorio Gassman. Bookmark the permalink.